This was one of the stalls that with a queue when I visited on a Sunday for lunch. 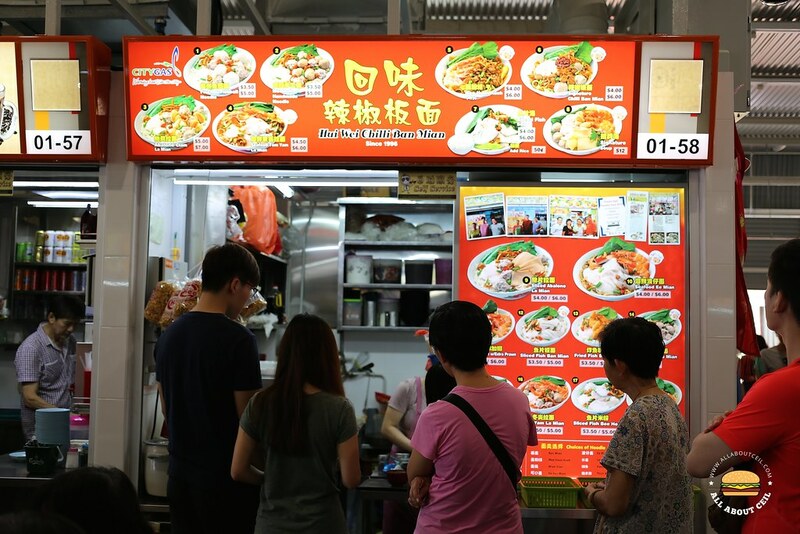 This is one of the stalls originally from this food centre before the renovation and they moved to Toa Payoh for a while before moving back to here again. 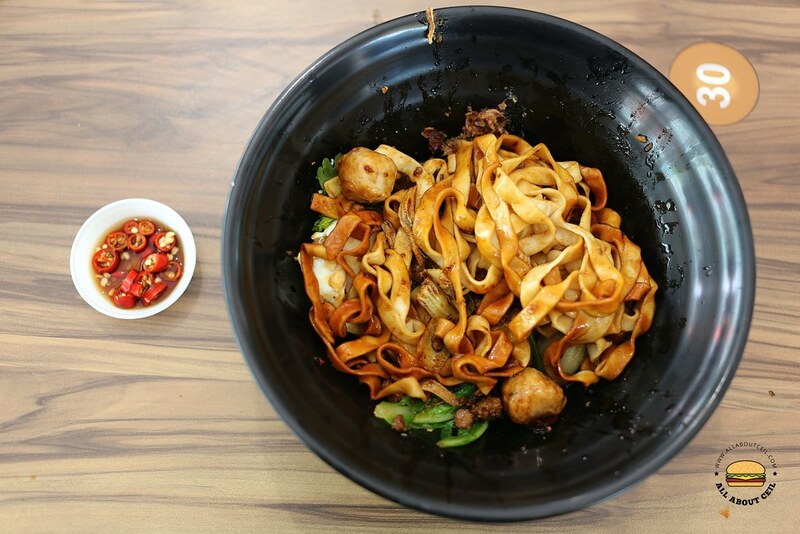 The options on the menu include Fuzhou Fishball Noodle ($3.50/$5.00), Meatball Handmade Noodle ($3.50/$5.00), Abalone Clam La Mian ($5.00/$7.00), Seafood Tom Yum La Mian ($4.50/$6.00), Mee Hoon Kueh ($4.00/$6.00), Signature Chilli Ban Mian ($4.00/$6.00), Signature Soup ($12.00) and more. I remember eating Chilli Ban Mian when I was in Kuala Lumper, Malaysia and so I decided to go with the smaller portion of their Signature Ban Mian. 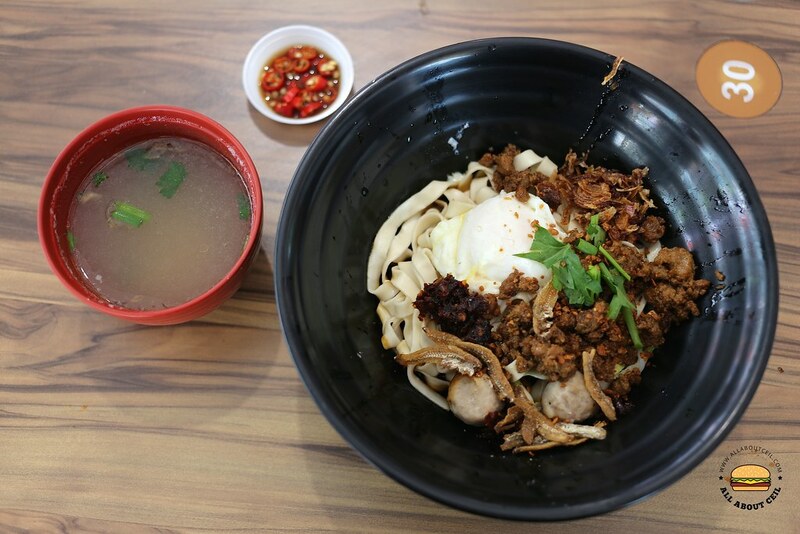 A substantial portion of ban mian was served with meatballs, braised minced meat, poached egg accompanied with ikan belis, fried shallots, and lard. I tossed it lightly to mix the nicely cooked noodles with the dark sauce and chilli. And, the spiciness of the chilli is not to be underestimated and so, go easy with it.